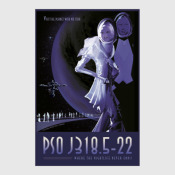 Постер PSO J318.5-22: where the night life never ends! PSO J318.5-22: where the night life never ends! Недавно просмотренные товары: PSO J318.5-22: where the night life never ends!